Settlers | Planet Geek test site. Back from NJ, a few friends over, family together. 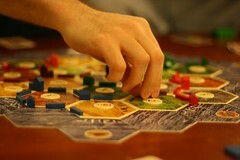 Let’s play Settlers.